5 But how’s the money? Having drawn players in for almost a decade, Buffalo slot machines have become some of the most popular choices for slot players. With a fresh look and feel, the popularity of the original Buffalo slot machine has grown over time. It’s a true hit for its maker Aristocrat. It wouldn’t be uncommon to find entire rows of Buffalo machines in a Las Vegas casino completely filled with satisfied players. But why is this game so special? What has caused slot players to flock, or rather stampede, to this game in such high numbers? The free Buffalo slots game is very clear about its theme. The symbols on the reels — the wolves, elk, eagles, pumas, and buffalo — with their own unique sound effects (especially the unmistakable “BUFFALO” chant) all set on an old American prairie at sunset, make for a special slot experience. It’s clear this game panders to the proud-to-be-an-American player, but that shouldn’t deter those who don’t subscribe to that mindset. It’s a fun game, and droves of players have figured that out. High-pitched eagle squawks and rumbling stampede sounds might be enough to pique the interest of many players. But there’s much more to Buffalo slots than an enticing theme. A game couldn’t maintain its level of popularity without some tasty meat inside the attractive package. The first thing anyone playing the Buffalo slot machine will notice is that there are no paylines. Symbols don’t have to appear in any particular way. There is no need to memorize any confusing payline patterns to denote a win. If enough of a specific symbol appear anywhere on consecutive reels, starting with the leftmost reel, it’s a winner. This is where the true ingenuity of Buffalo lies. In doing away with needing to hit symbols in specific patterns, the game creates a greatly expanded number of winning combinations. Even without too much luck, the ambient casino noise will constantly be drowned out by the winning payout music. There are five reels with four spaces on each reel and a total of 11 different symbols with their own pay tables — traditional card ranks nine through ace and the five animal symbols. In addition, there are two special symbols. The sunset symbol, which can only appear on the second, third, and fourth reels, is considered wild and can count as any (and simultaneously all) of the other 11 symbols. Then there’s the scatter coin symbol, which can trigger free spins and a bonus game. Land at least three scatter coins anywhere on the board to trigger the bonus game. The bonus game begins with a set number of free spins. This number depends on how many scatter coins appeared in the spin that initially triggered the bonus. The game is also dictated by a slightly different and advantageous set of rules. 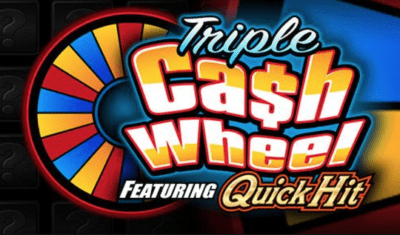 Like the main game, getting three, four, or five scatter coin symbols anywhere will earn eight, 15, or 20 free spins (respectively). But getting just two coin symbols during the bonus game will earn five free spins. Earning additional free spins is always nice, but the real money in this game is made with the other bonus game rule difference. Those sunset symbols that were wilds during the main game now act as payout multipliers. The payout of any winning combination that includes a sunset wild is multiplied by either two or three for each sunset in that combination. This can amount to a winning combination’s normal paytable being multiplied by up to 27x if the combination includes three of these sunsets. The bonus game will continue until all of the free spins initially awarded, and all that were earned during the bonus game, have been used. With the constant hitting of potentially multiplied winning combinations and the earning of free spins, there’s got to be a catch somewhere, right? To fully play with all five reels, there’s a built-in “reel cost.” This is similar to adding more paylines on a traditional slot machine, that is multiplied by the stakes of the game. In this case it’s 40x. Therefore, a single spin at a one cent stake will cost 40 cents. Many Buffalo slot machines have the option to decrease this reel cost, to as low as 1x, by choosing to limit the spaces on the reels that count toward winning combinations. In this way, a player may actually be able to play for as little as one cent per spin. Despite this option, the way the cost-per-spin is truly mitigated (when all reels are fully in play) is by the sheer volume of winning combinations. Many of the payouts are smaller than the spin cost of 40 units, but they hit so often that they effectively make the cost for spinning much less. It’s like being given a significant rebate on many of the spins, but with the added fun of being paid out as a winner. While there are no true jackpots to hit in Buffalo, any particular spin could represent a significant win. Predictably, the buffalo symbol has the highest payouts in the game; it’s also the most prevalent. Even playing for just 40 cents, a single spin with some buffalo symbols could yield over $50. And a decent run in the bonus game could easily bring in over $100. This all amounts to a slot that costs a bit more per spin than most with the same stakes. But it keeps its volatility down with frequent small and medium wins. It’s possible to play this fast-paced game for hours and never win or lose more than $25-$50. Buffalo slot machines are the perfect choice for slot enthusiasts. The action-packed game may seem like a poor choice for someone who prefers a more traditional slot. But the reality is that Buffalo does a great job of maintaining the relatively simplistic game design of a traditional slot while being specific enough to attract those looking for a different experience. The amazing popularity of the original Buffalo slot has caused Buffalo to become enough of a draw to spawn other titles. Newer games, such as Buffalo Gold, which adds new bonus features and higher stakes options, and Buffalo Stampede, which offers many other enhancements as well as a progressive jackpot, complement the original Buffalo game and make for a powerful brand. Its manufacturer has clearly aimed Buffalo at a wide swath of slot players, and it’s succeeding. With a fun theme and captivating gameplay supported by solid game mechanics, there seems to be no end in sight for Buffalo. As more casinos begin to offer Buffalo games, more players will be able to play the action-packed game that so many already enjoy.